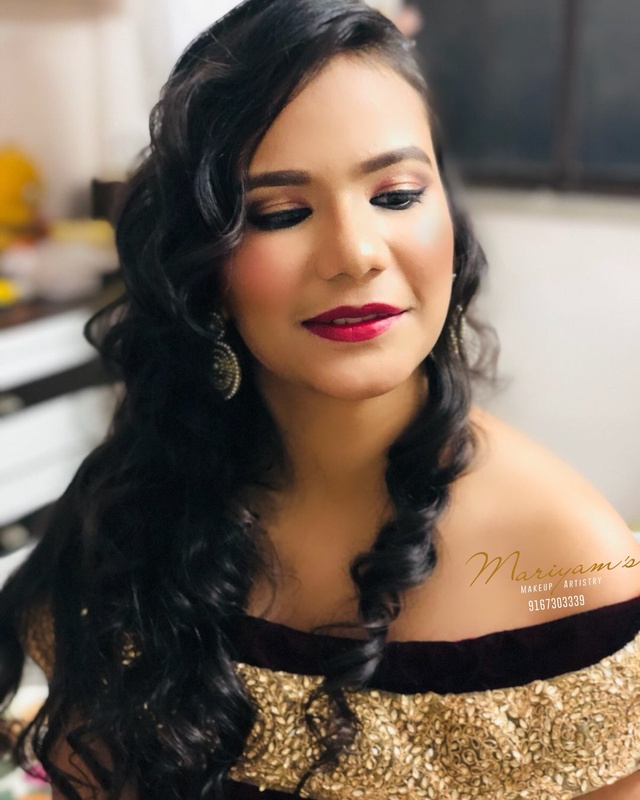 Mariyam's Makeup Artistry, Mumbai was started by Mariyam who is a professional makeup artist with more than 7 years of experience in the beauty industry. Her passion for makeup and love for beauty makes her among the top bridal make-up artists in Mumbai city. She has worked and got trained by international celebrity makeup artists like Donald Simrock whose client list includes Lady Gaga, Ashley Judd, Kim Kardashian, Britney Spears, Eva Mendes, Cindy Crawford and more. Similarly, she has got the chance of picking makeup skills from Cassandra Kehren who specializes in film, television, print, bridal, fashion and beauty. She has a flair for all kinds of makeup but she loves bridal makeup. Every girl is beautiful and she can enhance their beauty to a next level. Makeup is an art and she is an artist who can create living sculptures. Flawless makeup is her signature. 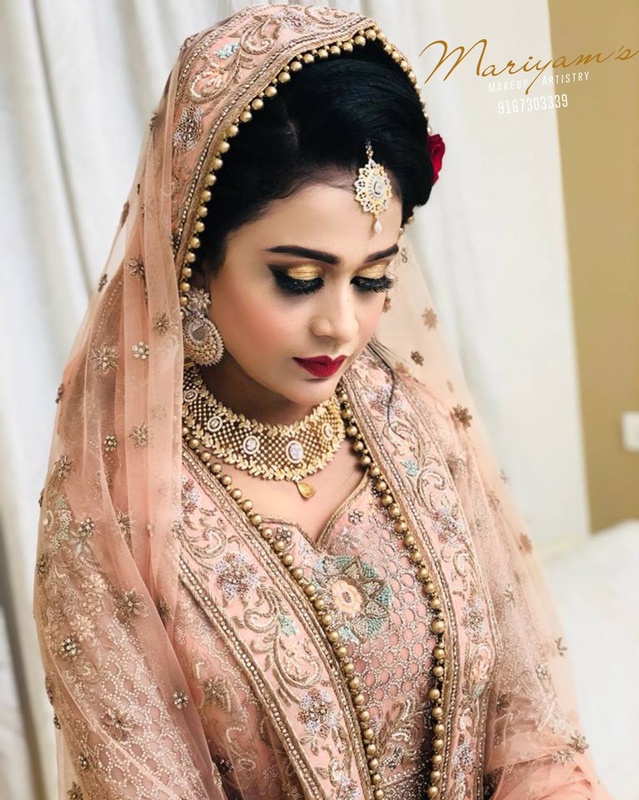 Contact Mariyam's Makeup Artistry, Mumbai for your big day and be rest assured to get a gorgeous look with compliments from your guests. B-1305, Mount Everest, Bhakti Park, Near Big Cinemas, Wadala East, Mumbai. 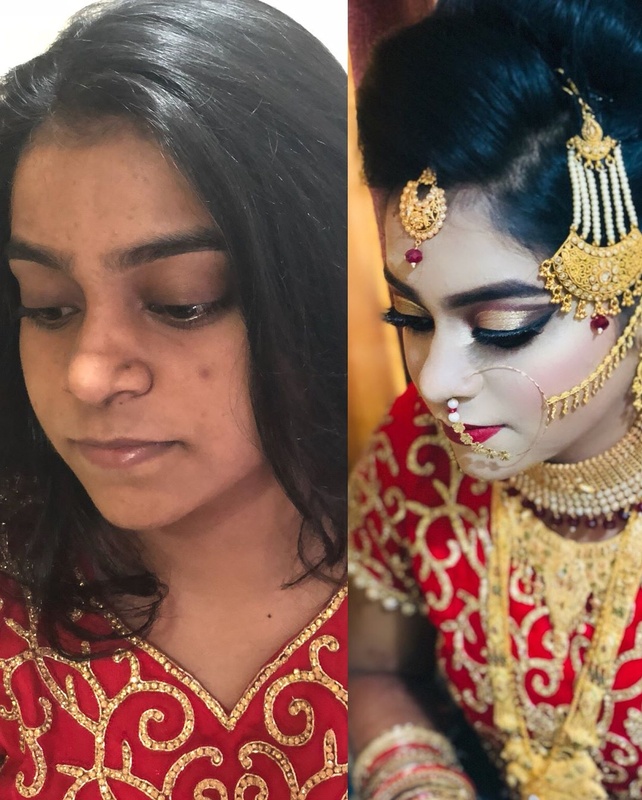 Mariyam's Makeup Artistry is a Bridal Makeup Artist based out of Wadala, Mumbai . Mariyam's Makeup Artistry's telephone number is 76-66-77-88-99, Mariyam's Makeup Artistry website address is http://www.mariyams.com, Facebook page is Mariyam's Makeup Artistry and address is B-1305, Mount Everest, Bhakti Park, Near Big Cinemas, Wadala East, Mumbai.. 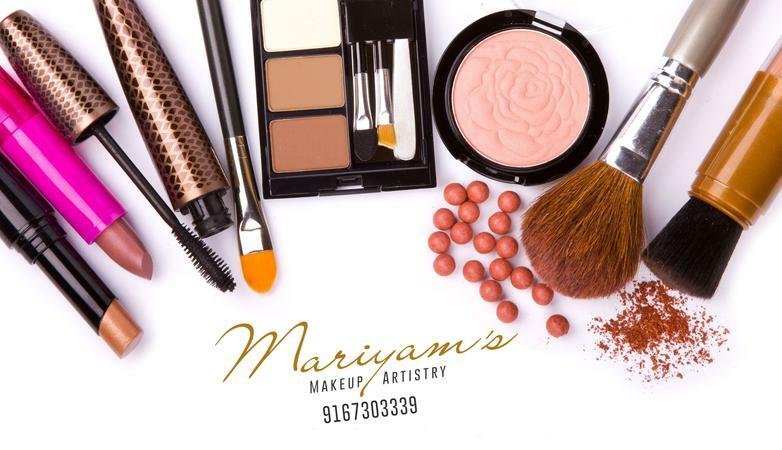 In terms of pricing Mariyam's Makeup Artistry offers various packages starting at Rs 10000/-. There are 3 albums here at Weddingz -- suggest you have a look. Call weddingz.in to book Mariyam's Makeup Artistry at guaranteed prices and with peace of mind.